False teachers have come saying many true things and do many fine looking, impressive works, even with great sincerity. Great is man’s power of faith in what he believes, even if it is false. That’s why the Lord said, “For false Christs and false prophets will arise and show great signs and wonders; so much so that, if it were possible, they would deceive even the elect” (Matthew 24:24 MKJV). Oh please. I’ve been a member of Saddleback church for 18 years and Rick Warren preaches from the Word. I’m praying for you. Linda, we never said that Rick Warren doesn’t preach from “the Word,” that is, the Bible. Most false teachers do. What we say is that Rick doesn’t rightly divide the Word. “Study earnestly to present yourself approved to God, a workman that does not need to be ashamed, rightly dividing the Word of Truth” (2 Timothy 2:15 MKJV). “As also in all [Paul’s] epistles, speaking in them of these things; in which are some things hard to be understood, which they that are unlearned and unstable wrest, as they do also the other scriptures, unto their own destruction” (2 Peter 3:16 KJV). There are many preaching false doctrine from the Bible. Rick is just another of thousands. You speak of prayer. Do you know to whom you pray? Have you heard from Jesus Christ our Lord and Savior as to what He has to say about Rick Warren and us? You need to know. I have been a believer in the Lord Jesus Christ, my redeemer and Savior for well over 35 years. I have listened to Rick Warren teach from the Bible for the past 18 years. Obviously, you have not attended our church? You are so wrong in this. Rick teaches the entirety of the Bible; Jesus is the ONLY way to the father; we will spend eternity in either heaven or hell by our decision on earth; we have to repent of our sins. This is what I’ve heard my pastor preach. I’m praying for you, because you are breaking God’s heart by dividing the church, the true church of Jesus Christ. Your email to me is insulting, explaining to me the scriptures that I have read and known about for decades. You are now judging my heart. It sounds like you have appointed yourself to be the Holy Spirit of in Rick’s heart, and people that attend Saddleback church. Please come and introduce yourself to me. I volunteer every Sunday at the Fresh Start with God table, for new believers. 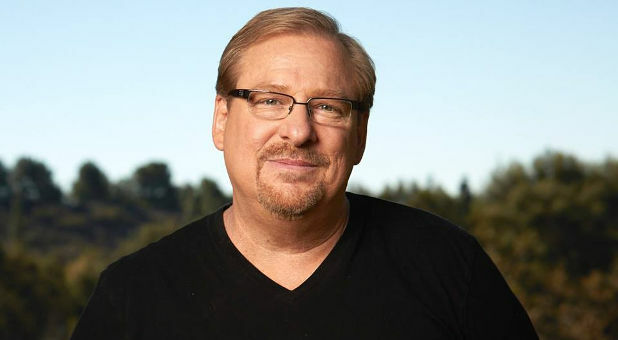 I know exactly what God will say to Rick Warren when he goes to heaven, “well done, good and faithful servant”. What do you think our Lord will say to you? Were you loving? Did you judge others without know the full truth about them? I know the heart of Rick Warren and it is sad that you do not. I do know this, Rick Warren still loves you, and will forgive you for the lies you are spreading about him. If you are my brother in Christ, then I forgive you too, and I will love you, because Jesus commands us to love each other. Linda, we have red The Purpose Driven Life. If that is not an adequate representation of Rick Warren’s doctrine or system of belief, what is? Can you tell us? Has he renounced its contents? If so, we aren’t aware of it. However, as for the portion in-between: “…we will spend eternity in either heaven or hell by our decision on earth,” it is error that you have been taught and have believed most, if not all, of your life. This is exactly what Warren is wrong about and accountable to God for. 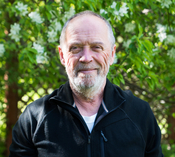 As reflected in his very popular book, the emphasis is on man to save himself by making the “right decision.” For that reason, people love it. The theme of heroism (the essence of Baal worship) appeals to the ego of the man of sin. Regarding Heaven and hell, these are present states a person exists in, depending on their relationship with the Lord. Read The Precious Presence of Heaven and The State and Fate of Hell. “For He has delivered us from the power of darkness [hell] and has translated us into the Kingdom of His dear Son [Heaven]” (Colossians 1:13 MKJV). While we haven’t attended your church, we know the ways of the Lord, and seeing your church site and reading the book, not to mention knowing of Rick’s alliances and fruits, we need not physically attend to know and understand. God has given us the mind of Christ to judge all things. This you don’t know because, in spite of your claimed belief in the Lord Jesus Christ, you’ve never known Him. If you did, you wouldn’t support Rick Warren and say the things you say. It’s that simple. The Lord by the apostle Paul says the spiritual one (in Christ) judges all things. We judge righteous judgment, but you judge after the appearance, which appearance has deceived you. That’s the difference in our judgments. It is God Who sends us to speak, so how could we be “breaking [His] heart”? And don’t the Gospels tell of Jesus Christ dividing the sheep from the goats? To the carnal soul, to the goats, He appears to be dividing the “true church of Jesus Christ.” He has come to divide mother from daughter, father from son, brother from sister, the sheep from the goats, the undefiled from the defiled, the children of light from the children of darkness. He has come to divide those who are His from those who appear to be His, for many vainly confess Him as Lord. With knowledge, power, and righteous judgment, He comes by us with the sword of truth to divide, and you will know the difference between soul and spirit, and whether the division is godly or not. You will know. By the Word of God and by the Mind we have in Christ, we discern the thoughts and intents of the heart, and our judgment is true. The world is filled with a popular false worship of the Lord Jesus Christ. It worships another Jesus, believing another gospel, one Rick Warren preaches. Yes, Rick Warren is warm and friendly; yes, he preaches from the Scriptures; yes, he has a great following; yes, he is generous, well-loved, and famous; yes, he is apparently considerate of the poor (so we have heard); yes, he may be sincere (certainly comes across so), but he is sincerely wrong. His bestseller is diabolical and highly deceptive. It leads souls on the broad way that leads to, or keeps in, hell. This we know because we know the Lord Jesus Christ, the Savior of all men, Who sends us to speak to you. You are in great error, given over to strong delusion because you have no love for the truth, preferring to believe a lie (2 Thessalonians 2:10-12). You prefer the social benefits and comforts of the flesh, all of which Rick Warren provides in super abundance to many thousands like you. The Pharisees and scribes were truly godly in appearance and zealous in works in many ways. Many were friendly, loving, decent, conscientious citizens by social standards. They had much right doctrine. But none of these things avail, even as Paul declared to the Philippians in the 3rd chapter. Read The True Marks of a Cult (not according to Victor or Paul, but according to God and the Bible) and Diabolical Doctrines. There is a hint of kindness and goodwill toward us in your letter, in the Name of the Lord Jesus Christ, but your error, pride, and ignorance are great. May the Lord reward you according to your heart and give you understanding.